Learn how it all began â¦ before the magic of tatÃ¹s. Simon comes along and doesnât expect to find much more excitement in the tiny Scottish town where Argyleâs family lives. Until he meets Beth, Argyleâs older sister. Sheâs beautiful, brash and clearly interested in him. 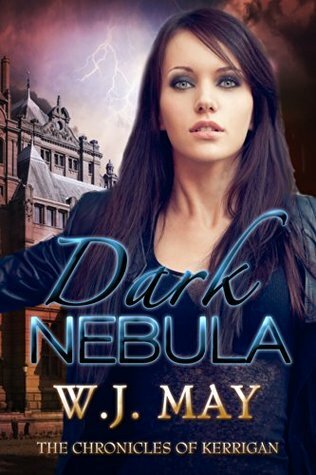 When her father warns him to stay away from her, Simon tries, but sometimes destiny has a hope of itâs own. Leery from the horrifying incident at the end of her first year at Guilder Boarding School, Rae Kerrigan is determined to learn more about her new tattoo. Her expectations are high, an easy senior year and a happy reunion with Devon, the boy sheâs not supposed to date. All hopes of happiness turn into shattered dreams the moment she steps back on campus. Lies and secrets are everywhere, and a betrayal cuts Rae deeply. Among her conflicts and enemies, it appears as if her father is reaching out from beyond the grave to ruin her life. With no one to trust, Rae doesnât know where or who to turn to for help. Has her destiny been written? Or will she become the one thing she hates the mostâher fatherâs prodigy. Rae Kerrigan is three months away from graduating from Guilder Boarding school. She is now moonlighting as an operative for the Privy Council, a black ops division for British Intelligence. 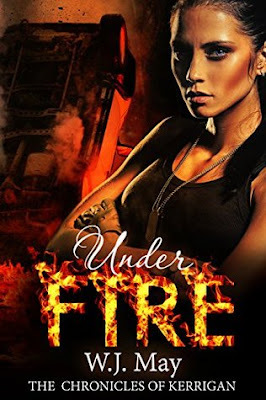 Sheâs given a mentor, Jennifer, who fights like a demon âfast, tough, and incredibly strong-willed. Rae finds a strange maternal bond with her. At the same time, she finds a new friend when Devon disappoints her once again. Childhood memories surface and evoke hidden secrets she is determined to solve. When the Privy Council ask for her help, she finds a friend, and a link, to the Xavier Knights â another agency similar to the Privy Council. Through the mystery and secrets, she begins to question what the PC represents and where she stands. The Queen of England has requested the help of the Privy Council. Someone is trying to kill her sonâs fiancÃ©. The HRH Prince plans to marry a commoner, and his bride has a secret no one knows but the Privy Council. She has a tatÃ¹. When the Privy Council turns to Rae for help, she canât possibly say no; not even when they make Devon her partner for this assignment. They are to pose as a couple and work undercover, as bodyguards, to protect the soon to be Princess of Wales. Rae would rather be anywhere but with Devon, especially since she believes her mother to be alive, despite the Privy Councilâs assurances to the contrary. 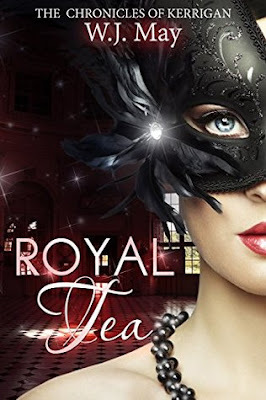 The question is, how can Rae find proof of life for her mother, come to terms with her feelings for Devon, and manage to save the Princess, all while dressed for tea? Now that the secret is out, Rae Kerrigan is determined to find her mother. No amount of convincing from Devon, or the Privy Council, is going to make her believe her mother is not alive. Working with Devon and Luke against the PCâs wishes, Rae will stop at nothing to find her. Torn between friendship and loyalty, Rae must also choose between Luke and Devon. She canât continue to deny, or fool herself, any longer. The heart wants what the heart wants. Those she trusts become untrustworthy. Those she confides in cannot keep a secret. Those she loves may leave her heartbroken. Will there come a day when she can finally feel free to be herself â no matter the consequences? 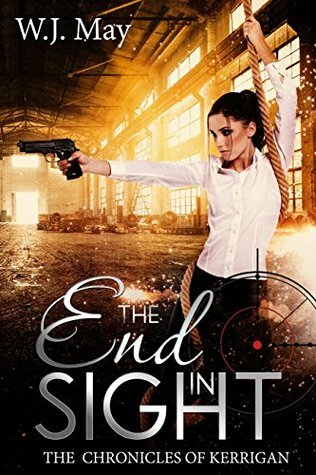 END IN SIGHT is the 6th Book of W.J. May's best selling series, The Chronicles of Kerrigan. Rae Kerrigan should be ecstatic. She's found her mother and Devon has admitted he wants nothing more than to be with her. Except Jennifer, her mentor, was someone she thought she could trust and it turns out she was after Rae for the same reason as Lanford had tried her first year at Guilder. There is a new face for the enemy now. Jonathon Cromfield. Except he's not really new, is he? Rae must go charging head first into danger in order to protect the ones she loves and like her father, no one is going to stand in her way. End in Sight is the sixth book in the Chronicles of Kerrigan series. Book 1, Rae of Hope is currently FREE. ... book 7 and 8 titles to be released at the end of End in Sight! Hidden Darkness is the 7th Book of W.J. May's bestselling series, The Chronicles of Kerrigan. A race against time, a sprint across the world. The enemy has a new face now, Jonathon Cromfield. Except he's not really new, is he? Cromfield has a plan, one that includes Rae whether she likes it or not. Rae is terrified by the idea that she can't die. Everyone she'll ever know will move on without her and leave her all alone. Except Cromfield. She'd rather die than be with him. The team of Rae, Devon, Julian and Molly must race around the world to find the hybrids before Cromfield does, they have to figure out what his serum really is for, and take it back to the Privy Council all before Cromfield can stop them. Immortal or not, Rae doesn't have a second to waste. 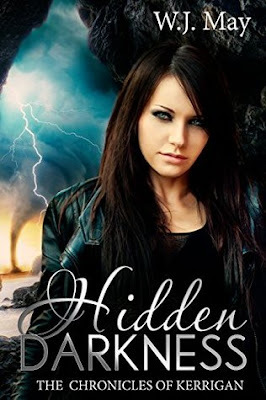 Hidden Darkness is the 7th book in the Chronicles of Kerrigan series. 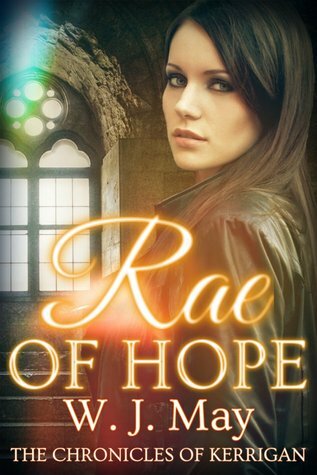 Book 1, Rae of Hope is currently FREE. 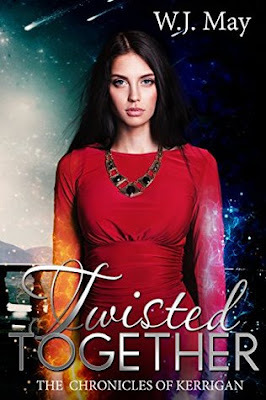 Twisted Together is the 8th Book of W.J. May's bestselling series, The Chronicles of Kerrigan. 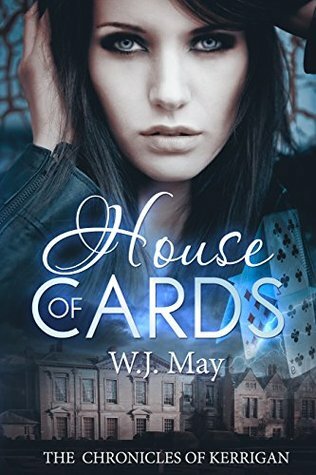 Arrested with no idea why, Rae suddenly finds herself on the wrong side of the Privy Council and possibly for good. Sheâs branded a traitor, just like her father. Forced to trust in someone she doesnât know, she finds herself more confused than ever. Gabriel is cocky, brash, distractingly handsome and apparently working for the Privy Council under Carter.